Plain White T's (read as "plain white tees") is an American pop punk band from Lombard, Illinois formed in 1997 by high school friends Tom Higgenson, Dave Tirio, Ken Fletcher and Steve Mast. The group had a mostlyunderground following in Chicago basements, clubs, and bars in its early years. 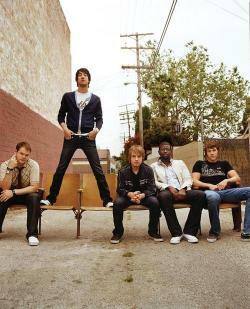 The band is best known for the number-one hit song "Hey There Delilah", which achieved platinum status in 2007 and earned two Grammy nominations, as well as "1234 (Plain White T's song)" and "Rhythm of Love", which were certified platinum in 2009 and 2011, respectively.